Do you struggle with homeschool planning? Do you wish you could discover some realistic homeschool planning methods? Homeschool moms have completely different ways of approaching the planning process. Some of us have detailed plans for each day of our homeschool year before we even begin. And others choose to wing it and take a more unschooled approach to learning. But what if you’re somewhere in the middle? What if you would like to have an idea of what you’re planning to teach without being locked into a rigid plan?!? Realistic homeschool planning is completely possible! When I first started to homeschool my boys, I was more rigid in my planning. I knew exactly what I wanted to teach them, specific book titles that we would read each day, and even what enrichment activities would go along with each lesson. It was a lot of work to maintain this in-depth of a planning process. And after awhile, I got tired. Fortunately, over the years, I’ve developed a more manageable system of homeschool planning that gives you freedom for life to happen without stressing you out or forcing you to fly blind. The first step is to figure out what subjects you even want to teach. When your kids are young, you can focus on whatever subjects you feel will be best for your child with the core subjects being reading, writing, and math. As they hit the high school years, you will want to consult your child’s transcript to determine which classes need to be covered this year. Next, you will need to decide which curriculum or resources you want to use for each class and purchase the necessary books and supplies. Watch this video to see step-by-step how to accomplish this first part of your realistic homeschool planning. 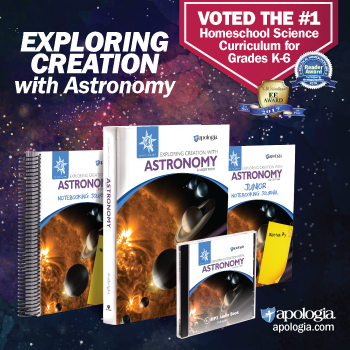 The next step is to come up with an overview of what material you will want to aim to accomplish each week of your homeschool year. Watch this video to see step-by-step how to accomplish this second part of your realistic homeschool planning. The third step of realistic planning is to actually make a template for a typical homeschool week. You don’t have to cover every subject every day! What do you want to cover on Mondays? On Tuesdays? And so on. After making this template, it makes your weekly homeschool planning straightforward. You simply update your template with whatever specific information you need to cover that week. Watch this video to see step-by-step how to accomplish this third part of your realistic homeschool planning. Some people will choose to skip this step and simply print their entire week at the same time. However, I’ve found that my homeschool days almost never go exactly the way that I’ve planned. It’s not unusual to have lessons take more or less time than I had anticipated or to have to do something unexpected that has nothing to do with homeschooling. Because of this, I like to have my entire week prepared in advance but to only print one day’s lessons at a time. This way, if anything has to be changed, it’s simple for me to go back in and make the changes before printing the checklist for that day. And that’s it. This realistic method of homeschool planning is so much quicker and more painless than the rigid methods I used in the past. I hope that these tips will help you to save a ton of time preparing your homeschool lessons in the coming weeks. If you have any questions about planning or tips that you’ve learned along the way, I’d love to hear them. Please leave a comment below! Hi Michelle, I haven’t left a comment for ages but you have been doing great blog posts, thank you so much. I loved your post about the Solar Eclipse. I wish we could meet up but NZ is a long way away! I have a question, do you still give your sons a weekly requirement of schoolwork and they are free to choose what they want to cover each day, as long as all the work is completed by friday? I ask as my two eldest boys (twins) are starting high school level next year ( February is our start month in NZ ). In the nearly two years since we started homeschooling, we have used the notebook system ( from Sarah McKenzie of Read-a-loud Revival), where I write their daily assignments and this system works really well as my boys love the achievement of ticking off their work. I don’t know whether to continue with daily assignments or do weekly for my oldest sons. Do you have a blog post you can link me to that you may have written about this? Also, here in NZ we don’t need to keep transcripts or any detailed records of learning, however I want to keep some basic records which can go towards their ‘proving their learning’ as well as job applications for the future. Do you have any advice on what would be the best way to record this? Thank you for all the hard work you put in to helping us homeschool mums. I have switched back over to telling my boys what I’d like them to complete each day rather than for a full week. We sort of go back and forth with daily or weekly checklists. I do have a post where I’ve talked about weekly scheduling when we were doing it that way, though. My boys enjoyed that for a while. The post is here: Our Grand Experiment – So Far a Resounding Success! Hi again, so, after sending off the above comment I read through a number of your old posts and the comments after them, and much to my amusement I saw my name on one of the comments from a post you did last year. My question was about your schedule as I have asked above regarding whether your boys still did weekly assignments. My question at the time was about whether that would work well with my boys at the age they were. We didn’t implement a weekly schedule at the time but the daily assignment schedule has certainly worked very well. My other comment/question was about routines around late sleepers. I had to laugh!! Nothing in this department has changed in the whole year. Lol!! I have conceded defeat in this area and now on most days I just let all my boys wake themselves and once they are up we start our routine slowly. We have always done a Morning Time routine of beginning our day which has been lovely but I am seeing that I probably need to put some of that aside to allow everyone to just wake and start in their own time. 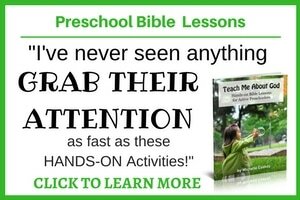 I think it will also free up some time too but we can shift important read-a-louds like our bible study to lunch time. Do you or any of your readers have any advice on how to transition from always starting our day together to just letting everyone start in their own time and how to manage it without routine getting out of hand? I can post that question for you on my Facebook page if you also follow me there. Let me know. I have to say that my boys have started waking up earlier again now that they’re 15 and almost 17. One son is usually awake on his own by 7am and the other has asked me to wake him up at 8am so that he can get his schoolwork done and get on with the other things he would like to do throughout the day. My advice might be not to expect to start your day together during this period where they’re sleeping longer, but once everyone is awake, you can do something together if you would like. My boys work through their own checklists but they do have some subjects that they do together so they know that they can work on their individual subjects whenever and they work it out when it would be a good time for each of them to do the together stuff. Make sense?!? Hi Michelle, thank you so much. I will be sure to look at those posts and video clips. Good advice about just letting them sleep at this point, I know they need it and they are much better for it if I don’t disturb them. Everyone has a better day! After I sent off my comments/questions I looked through your yearly/weekly planning video clips and found them so helpful too. Even though we still have one term left in our school year here before Christmas, around this time I like to start thinking and planning a little for our next year so I can enjoy our summer break after Christmas celebrations. Thank you so much again Michelle. You’re so welcome, Fiona. I’m glad you liked them. 🙂 And no worries on not following me on Facebook. I just thought that I could pop that question out there since more people usually respond to my Facebook posts than they do on blog posts. But perhaps someone else will leave a comment here. oops… I forgot to mention that no I don’t do Facebook so I can’t follow you there, sorry. I do follow you on Pinterest though. Hello Michelle. I am new to your page. I have a 6yr old boy that I am homeschooling. Which we both love. We are ending our homeschool year & I want to plan for next year with science experiments & field trips long with homeschool play dates. We do CC with a co-op group. Do you have a planner that you recommend? Thank you. Honestly, I just use my computer to plan, the way I showed in the videos in this post. That’s much easier for me than using a printed planner because I can go through and make changes and reprint pages without having to rewrite a bunch of stuff. For my personal life, however, I do like having a spiral notebook to make my To Do Lists. I especially like to use the compendium journal”>Compendium Journals for this task because the pretty covers are inspirational to me. 🙂 But you can honestly use whatever type of spiral notebook you prefer.